January 07, 2018. 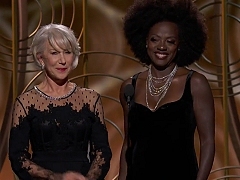 Helen Mirren and Viola Davis present the Golden Globe for Best Supporting Actor. 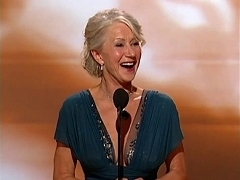 Helen Mirren was nominated as Best Actress in a Musical or Comedy for "The Leisure Seeker". January 10, 2016. 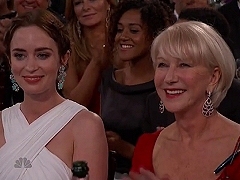 Helen Mirren was nominated as Best Supporting Actress for Trumbo and presented the award for Best Foreign Language Film with Gerard Butler. January 11, 2015. 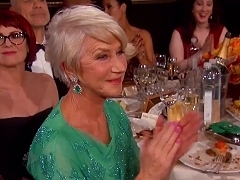 Helen Mirren was nominated as Best Actress in a Musical or Comedy for The Hundred-Foot Journey. January 12, 2014. 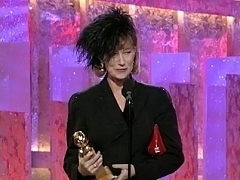 Helen Mirren was nominated as Best Actress in a Miniseries or TV Movie for "Phil Spector". January 13, 2013. 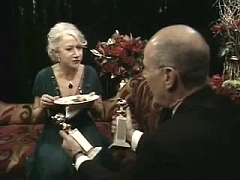 Helen Mirren was nominated as Best Actress in a Drama for "Hitchcock". January 15, 2012. Sidney Poitier and Helen Mirren presented the Cecil B. DeMille Award to Morgan Freeman. January 16, 2011. 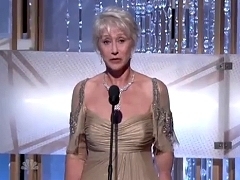 Helen Mirren presented the Best Picture Drama segment of "The King's Speech". January 17, 2010. 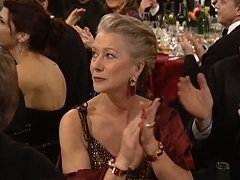 Helen Mirren was nominated as Best Actress in a Drama for "The Last Station". January 15, 2007. 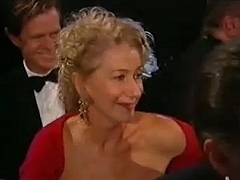 Helen Mirren won Best Actress in a Drama for "The Queen" as Best Actress in a Miniseries or TV Film for "Elizabeth I". She was nominated in the same category for "Prime Suspect: The Final Act". January 25, 2004. 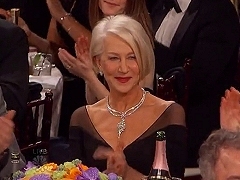 Helen Mirren was nominated as Best Actress in a Miniseries or TV Film for "The Roman Spring of Mrs. Stone" and as Best Actress in a Musical or Comedy for "Calendar Girls". She didn't attend the ceremony. January 19, 2003. Helen Mirren was nominated as Best Actress in a Miniseries or TV Movie for "Door to Door". January 20, 2002. 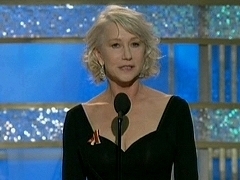 Helen Mirren was nominated Best Supporting Actress in a Motion Picture for "Gosford Park". January 23, 2000. Helen Mirren was nominated as Best Actress in a Miniseries or Television Film for "The Passion of Ayn Rand". She didn't attend the ceremony. January 11, 2015. Helen Mirren is interviewed during NBC's arrivals special at the 71th Annual Golden Globe Awards. January 13, 2013. Helen Mirren is interviewed during NBC's arrivals special at the 71th Annual Golden Globe Awards. January 15, 2007. 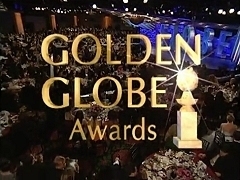 Helen Mirren is interviewed at the press at the Golden Globe Awards, after winning for both Elizabeth I. and The Queen. January 16, 2011. 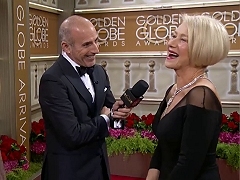 Helen Mirren is interviewed on the red carpet at the Golden Globe Awards. January 17, 2010. 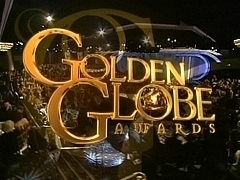 Helen Mirren is interviewed on the red carpet at the Golden Globe Awards, being nominated for The Last Station. January 16, 2007. Helen Mirren is interviewed by Extra TV after winning two Golden Globes for Elizabeth I. and The Queen. January 16, 2007. 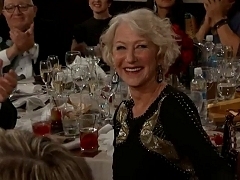 Helen Mirren is interviewed by CBS News after winning two Golden Globes for Elizabeth I. and The Queen. January 16, 2007. 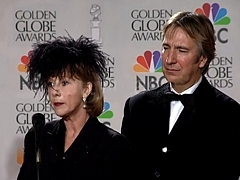 Helen Mirren is interviewed on the red carpet at the Golden Globe Awards before winning for both Elizabeth I. and The Queen.